Remembering passwords is an increasingly difficult undertaking. Fortunately, in our rescue the password managers arrive, veritable containers of access credentials. 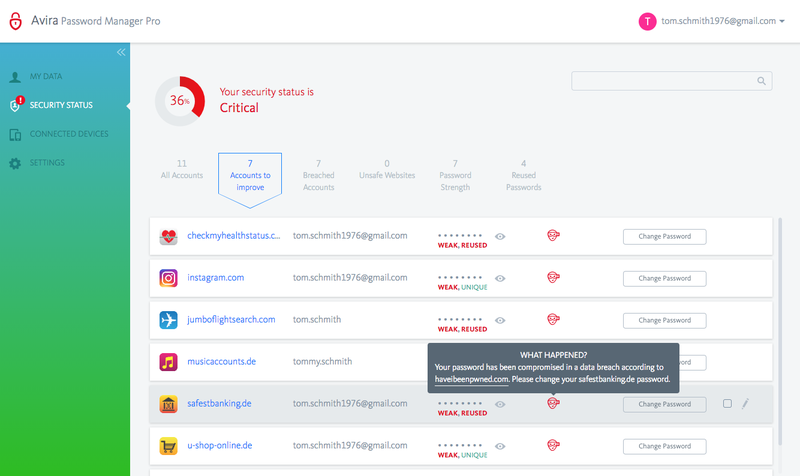 We tried Avira Password Manager PRO, the tool made by the famous German company, which allows you to store passwords to easily access all the websites that provide them. It is a manager that can be used by any computer, smartphone and tablet. Let’s find out how it works, it’s potential and explain why it should be used with peace of mind. What a password manager is for? A password manager is software that allows you to store user login credentials. If you want a tool that allows you to avoid typing login credentials every time you log in, that’s what you need. The first password managers were simple small programs that functioned as simple digital diaries. Passwords were stored in the software, which was protected by a master password to access them. Today, these tools have evolved. Avira Password Manager PRO for example, it is not a simple software to install on your PC. 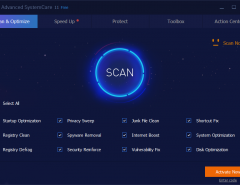 It is a tool with a web interface, able to integrate into Google Chrome, Mozilla Firefox and Opera browsers, operating in real time when accessing sites. 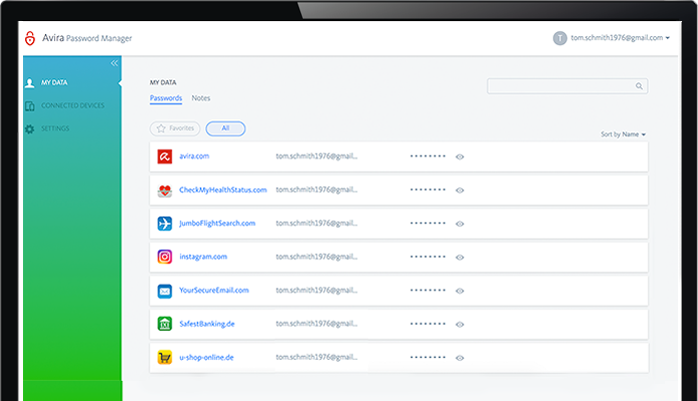 Modern password managers are complete tools that allow you to synchronize credentials on all devices. To choose the best password manager, the functions envisaged by the instrument must be considered, as well as its safety. How Avira Password Manager PRO works? Avira Password Manager PRO is a web-based password manager. Using the browser, you can access the dashboard and manage your own password keyring. To use this tool simply register on the official website and enjoy the FREE version. The switch to the PRO version can be purchased with an annual license. 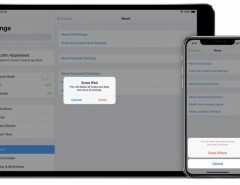 Synchronized mode: With the “backup and synchronization” option enabled, allows you to access your data from multiple devices. In this case, the password database is stored on the Avira servers in encrypted mode. Obviously, the main purpose of a password manager is to be able to retrieve the credentials from any device connected to the Internet. Avira Password Manager PRO automatically enables synchronized mode. To disable this function simply access the management dashboard, click on settings and place “backup and synchronization” on “Off”. In the “Security Status” section, the password manager offers the best of itself. In fact, it is possible to consult the entire keychain of the memorized passwords and add others manually. For each credential a technical evaluation is available of the time needed to decrypt the password. With Avira Password Manager PRO, the “Check violations” option is available, which once activated will show us vulnerabilities and detailed violations of our credentials (we will discuss this in later chapters). If we install the browser extension, it will also be possible to memorize passwords automatically, while browsing. To use Avira Password Manager it is sufficient to have a computer with Google Chrome browser, Mozilla Firefox or Opera and mobile devices with iOS or Android (by application). 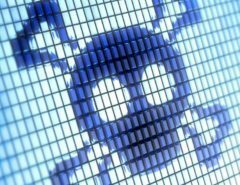 Passwords stored in the Avira Password Manager can be stored on the German company’s servers in order to be able to recall them from different devices. Imagine using the password manager on your home or office PC and also wanting to use the database from your smartphone. Nothing could be easier. Simply install the “Avira PWM” application, log in with your Avira account and enter the master password. Two-factor authentication is also provided for even more peace of mind. The application, as well as showing the list of all stored passwords, has an integrated browser that can be used easily. Just log in to the “Connected Devices” session, from the dashboard of your browser, to view the list with information on the last access and the ability to delete individual devices. Here we are with the new feature introduced in the latest version of Avira Password Manager PRO. In essence, it is a service that allows you to check the security of your credentials, using the tool “Have I been pwned”. To enable this function, simply click on “active”, corresponding to the relevant function in the “Security status” menu from the dashboard. Reused passwords: Analyze the entire password keychain and let you know if duplicate credentials exist. In this case, let’s talk about a very useful feature of this password manager. Most users of the Google Chrome browser store their passwords in Google databases. Passwords stored on Chrome can be out of control and do not benefit from all the security systems provided by the Avira password manager. With this simple procedure, you will be able to export Chrome passwords and import them into the Avira Password Manager dashboard. Load the previously exported file and continue with the final import. Following the import, we will have the possibility to check the credentials inside the password manager. Discovering the less secure ones will be very easy, using the security status analysis offered by Avira Password Manager PRO. Avira password Manager PRO differs from the free version due to the presence of the violation control module. To obtain a reliable and complete password manager, it will be useful to purchase the annual license from $24.95. If instead you are satisfied with a safe and functional tool, to manage your password keyring and synchronize it on Cloud, the FREE version can also be a good starting point. Console for monitoring and managing devices connected to the keychain.